.50 ct center diamond, .80 TDW. 14k gold. 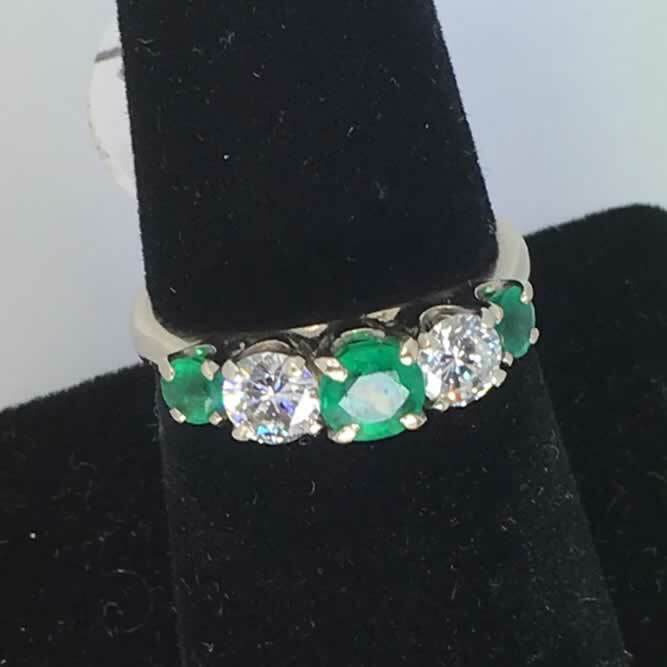 .80 TDW, .50 cts in emeralds. Vs2 clarity diamonds. H color. 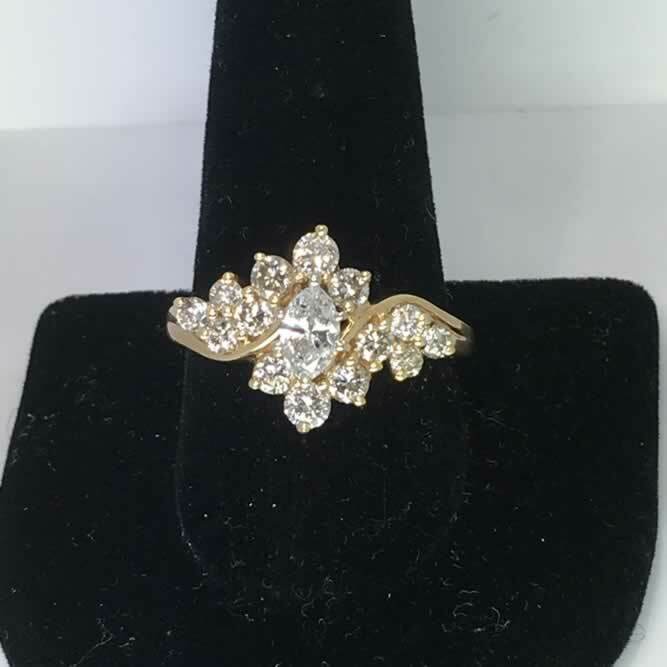 3rd Generation Antiques is a one of a kind family owned and operated jewelry store that specializes in fine diamonds and gems, estate jewelry, fine crystal and glass restoration, art pottery, art glass, antiques, jewelry repair and custom jewelry creation. 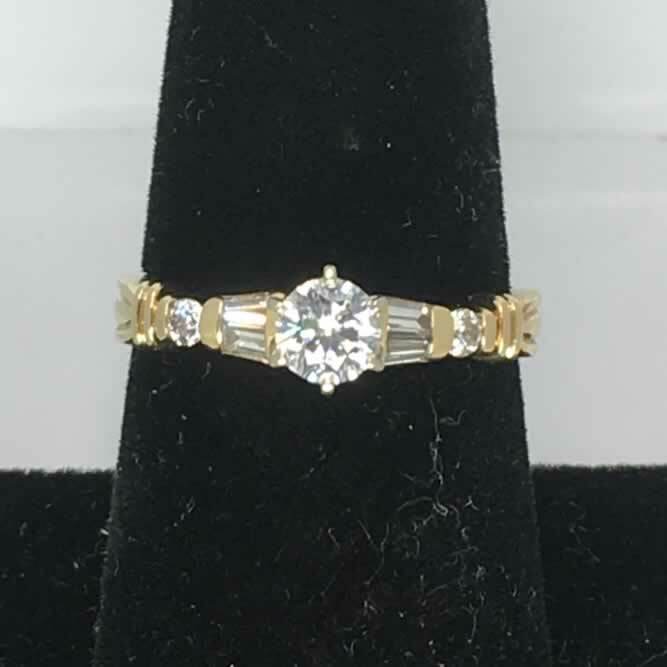 3rd Generation Antiques have been estate jewelers for over 28 years, dealing in both antique and modern jewelry. Our collection includes pieces of timeless exceptional beauty. 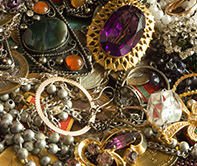 Come Visit us for all restoration and estate jewelry needs.